If you have a good competitive moveset for Klefki, post an answer below and upvote the best ones. Movesets for its pre-evolutions, if any, can also be shared on this thread. Klefki Pokédex and learnset for reference. My Klefki if you saw my Tangela. Wrecks everything. Counters Aegislash. OU. TWave-Torment shuts down all the new Pokes. More like annoys everything. I cannot take the people on battle spot with Thunder Wave just paralyzing away... that's why most of my pokemon hold lum berries and know the move taunt. This moveset will not stand a chance if Taunt has been used. Then all it can use is Foul Play. And then you switch. It wrecks everything. What about Mirror Shot (if it can learn it)? why do you have attack EVs? Bold is better. Doesn't lower Sp.D, and Foul Play doesn't use your attack anyway. It also reduces confusion and Foul Play Damage. This is very good at setting up dual screens. Thunder Wave is useful, but you might prefer Foul Play so you aren't completely shut down by Taunt users. Spikes means it has a double role as a hazard setter as well. The next step up from Liepard. Instead of sub, use attract. So another Prankster user ? Outclassed by Whimsicott, itself outclassed by Tornadus, itself outclassed by the "unoutclassable" Prankster user Thundurus. Yeah. It's doomed for the abyss. Thunder Wave or Toxic can be used in function of the threat: a sweeper may shut down with Thunder Wave, whilst a wall will fear Toxic. Dazzling Gleam is a filler, mainly attacking some Dragons here and there. Spikes is a support move that will fade away after a bird come on, and otherwise will damage Pokémon. I think you mean Calm. I'd replace Dazzling Gleam with Foul Play. Just my opinion though. While its stats are below the other Prankster users you mentioned, Klefki is the inly one who has access to Dual Screens. It can still work very effectively in that regard. 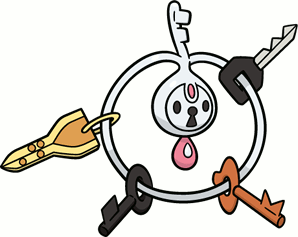 -Fairy Lock/Toxic: Fairy Lock prevents a weak oponent from fleeing (specially in double battles with a sweeper partner) while Toxic is for a full-bulk Klefki. -Foul Play: Allows it to take care of sweepers without it having a decent attack itself, as it uses the foe's attack stat. The Dark Gem will empower this move. Extra: After using Foul Play and losing the item, its ability Magician allows it to take the foe's item, which might come in handy. This is a great moveset. Spikes is for a great entry hazard. Because of its lovely typing, it will be able to at least set 2 layers of Spikes, if you're facing the correct Pokemon. If not, one layer is plenty. Torment is there not only to annoy, but to scout out a couple of the opponent's moves, so you can get an idea of who to switch into. Dazzling Gleam is for STAB, or if you want recovery, go with Draining Kiss and give it the Pixie Plate. Flash Cannon is also STAB and destroys other fairies save for Mega Mawile. This EV spread gives Klefki 260 to both defences and improves its overall bulk from attacks on both sides of the spectrum. The standard 252/252 leaves it very vulnerable to side you didn't invest in. Split defences also allows it to use Dual Screens much better. Under Dual Screens this set effectively gives Klefki 520 to both defences. It's also possible to use another set that replaces the nature, item and Foul Play. The following set gives more survivability if that's what you're going for. This set gives Klefki some form of recovery but it will miss the damage dealing potential of Foul Play. Ever heard of support Pokemon? Your set is no better than some of the others. Klefki is meant to be a support pokemon, setting up screens and hazards before leaving. Well everyone has gone and done the more viable support sets, let's go with gimmicks! Nope, not Swagplay. Item switch. Switcheroo and Prankster switches out their item real fast. Klefki is also faster than Sableye, so this is great for crippling it before it can taunt. Other tanks and walls also don't appreciate being given a status item. Substitute/Protect scouts the enemy move and give you more turns of tick damage. Foul Play is for attacking if ever Klefki eats a taunt. The last move is for further support after the item swap: Toxic for more damage, great with Protect. Thunder Wave is for extra annoyance. With Spikes, Klefki might get a free turn to do it, because of possible switches caused by Toxic Orb/Flame Orb. Toxic Orb is easier to manage than Flame Orb, since you don't need to swap immediately as Klefki is immune to poison status. Flame Orb has the benefit of crippling physical attackers that don't have Guts or Facade. Switcheroo (and Trick) are weaker now because they are blocked by mega evo stones that you can expect one per team, and there's the possibility of getting stuck with an Assault Vest, but don't let it deter you. Other possible items to swap around include Choice Band/Specs/Scarf and Lagging Tail. Choice items are best for locking supports and tanks into undesirable moves, forcing a switch. Lagging Tail is to cripple non-priority sweepers. Iron Ball too. If you suspect a fling user, Iron Ball is risky due to the 130 base fling damage. Swagger-Combined with attract and you have a mean klefki. Reflect/Light screen- For your teams needs. I like reflect incase of earthquake switches. Foul Play-Lets face it with taunt you need an attack. Not to mention with a crippled sweeper in love with your jingling keys, and swagger. foul play helps seal the deal. Please note This can be screwed over if your klefki is faced with same types (male/male etc) This also helps me scout their team because people will switch out. Substitute: For stalling fro a bit. answered Jul 17, 2014 by Pumpkaboom! A great utility annoyer. T-Wave slows down quick foes and has the added affect of disabling a foe for 1 time with a 25% Chance. Torment stops Calm Mind / Cosmic Power in its tracks. Foul Play does a great deal of damage to Aeiglash, a common threat in the Meta Game, but also is an attacking move. Reflect and Light Screen can help with a team altogether. I made this set for VGC doubles 4v4. This is good against the infamous Smeargle MegaKang lead. of Prankster it becomes +4 priority going before fakeout and giving you the protection you need. 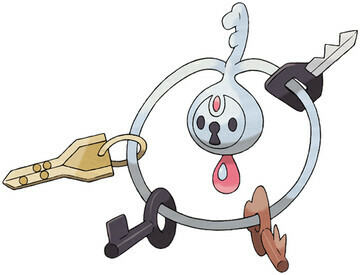 It is best paired with a heavy hitter cuz most MegaKang will fakeout Klefki thinking that it might use safeguard to protect themselves from Dark Void therefore giving way for you to take down the Smeargle or with a Fighting type, you can even go for the MegaKang. Draining Kiss is there to help enter image description hereagainst Taunt users and a little Health Regen is always helpful. Thunderwave helps in better stalling while you try to regain health with draining kiss and it gives your slower Pokemons outspeed potential threats on the opposition. Reflect/Light Screen helps in adding your desired bulk for the whole team. Calm Mind will also work out if you want better Health gain from Draining Kiss and additional bulk in SpDef. Can Fairy Lock be useful?